Silent Spring was first published 50 years ago today. Rachel Carson was my age, just 56, when she died of breast cancer 18 months later. I had cancer too (in 2007) but thankfully it was successfully treated -- I'm fine now. But everyone around the world has already inhaled, eaten, and drank billions of nanoparticles and thousands of larger "hot particles" that have spewed from Fukushima since March, 2011, and from every other nuclear accident and chemical spill. Fukushima and Chernobyl continue to spew, and will for generations to come. That can't be good for any of us, and it isn't. At a city council meeting last night in Encinitas, California, the top emergency planner in the Southern California area assured citizens and council members that although it's true that an accidental radioactive "puff" (his word) from San Onofre might cause problems with avocados (undoubtedly our state's favorite fruit), we need not worry, because they'll test all those truckloads of avocados (after WHO picks them?) and even if they're "hot" on the outside, once you peel them they might be okay, he said. Imagine trying to sell "hot" California avocados after a meltdown at San Onofre by assuring customers around the country that "they're only hot on the outside!" He said they might also make great guacamole. Later he admitted he's not a nuclear physicist. It appears he also neglected to study the uptake of cesium by plants through the soil after it's soaked in for a few years. Two scientists who HAVE studied such things are Joe Mangano and Janette Sherman. They have co-authored a wonderful article honoring Rachel Carson and the 50th anniversary of the publication of Silent Spring, which I am happy and honored to be able to include below, as it was sent to me this morning by one of the authors. I'm sharing an essay I co-wrote with Dr. Janette Sherman marking the 50th anniversary (today, September 27) of the publication of Rachel Carson's classic Silent Spring, and its enduring legacy. It is being published in the October 1 issue, available online now to subscribers of The Washington Spectator. We at Radiation and Public Health Project (RPHP) believe we must continue the effort begun by Carson to reduce the poisons in our environment, and improve the health of our people, by continuing our research on radiation health risks from nuclear reactors (30 journal articles, 8 books) and spreading the word to public officials, citizen leaders, and the public at large. We would like you to consider subscribing to The Washington Spectator. A subscription to this outstanding journal supports RPHP in two ways: not only are outlets like this crucial to informing people of our research documenting the hazards of nuclear power, but the Spectator has kindly offered to share 50% of the revenues derived from this special promotion, so we can continue our crucial work. To obtain your subscription to The Washington Spectator, and provide much-needed support for RPHP, go to https://secure.ablesoftsolutions.com/pdmg/SecurePages/newsub.aspx?pi=tws&o=webrphp to begin. Please be sure to click Apply Code as part of Step 1 in order to identify your order as a contribution. The Washington Spectator is a project of The Public Concern Foundation, Inc., a non-profit 501(c)(3) educational foundation. Since 1974, this bimonthly bulletin has given independent-minded readers behind-the-scenes insight into significant news ignored by the corporate media. In concise and fact-packed reporting, the Editor of the Spectator and other expert contributors offer insightful commentary on issues of war and peace, the environment, religion, education, law, and economics. Over the years, The Washington Spectator has stood consistently­and persistently­for human rights, international peace, civil liberties, and for an open, accountable government. Fifty years ago, a Johns Hopkins­educated zoologist did something that few at the time thought was possible. With the publication of one book, she started a national debate about the universally accepted use of synthetic pesticides, the irresponsibility of science, and the limits of technological promise. She also challenged the metastatic growth of the synthetic chemicals industry that grew out of World War II. Silent Spring was Rachel Carson's third book, following The Sea Around Us and The Edge of the Sea. The Sea Around Us had won the 1952 National Book Award for nonfiction and remained on the New York Times bestseller list for 21 months. Yet it is unlikely that Carson, who had spent most of her career as an editor for the U.S. Fish and Wildlife Service, had any idea of what the publication of Silent Spring would engender. Carson became interested in the harmful effects of pesticides, especially DDT, in the late 1950s. DDT was first commercially produced just prior to World War II, and was used to reduce the threats posed by insects to U.S. troops overseas. After the war, DDT was promoted as a great scientific advance and was widely and successfully used as an insect killer in the United States. The chemical was considered to be so benign that parents casually watched their children running in billowing white DDT clouds sprayed from trucks in residential neighborhoods. Carson's research focused on organic pesticides like chlordane, heptachlor, and aldrin, as well as DDT. She documented the widespread death of birds that had been exposed to the chemicals, as well as reproductive, birth, and developmental abnormalities in mammals. All life, she wrote, is a 'chemical factory' dependent upon oxygen to power the cell machinery. Citing the work of Nobel scientist Otto Warburg, she explained in clear terms why repeated small exposures to pesticides and nuclear radiation change the ability of the cell to carry out normal activities, resulting in malignancy or defective offspring­the reason there is no 'safe' dose of a carcinogen. Many scientific experts shared her concerns. The New Yorker ran three excerpts of Silent Spring in June 1962, before the official September 27 publication date. The response was swift and resounding. CBS began preparing a nationally broadcast special on the book. Page one of the July 22 New York Times featured a story entitled 'Silent Spring Is Now a Noisy Summer.' On August 29, a reporter attending President Kennedy's press conference asked if the federal government was examining the growing concern about DDT and other pesticides. Kennedy responded: 'Yes...I think particularly, of course, since Miss Carson's book.' A month before the publication date, Houghton Mifflin had advance orders for 40,000 copies and had a 150,000-copy contract with the Book-of-the-Month Club. The chemical industry didn't wait to read the book. Carson's short but devastating treatise was a threat to their bottom line, and the industry that manufactured DDT and other pesticides Carson had described reacted angrily to her scientifically sound arguments that their products were harmful. They attacked Carson's expertise. They attacked her methods. They attacked her motivations. They attacked her conclusions. They threatened to sue Houghton Mifflin and The New Yorker. In a relentless campaign to destroy her character, the industry distributed pamphlets, published articles, and vilified Carson in media interviews. They described her as 'fanatic' and 'hysterical,' yet almost all international scientists agreed with Carson. A Scientific Advisory Committee assembled by Kennedy issued a supportive report in May 1963. In response to the shrill attacks of her industry critics, Carson calmly stuck to the facts. She died at age 56 from breast cancer, 18 months after Silent Spring was published. Many regard Carson as the founder of the American environmental movement. Yet the movement had already begun. Albert Schweitzer, well-known scientists such as Linus Pauling, pediatrician Benjamin Spock, and Supreme Court Justice William O. Douglas had already been speaking out against the dangers of above-ground atom-bomb testing. Citizen groups like Women Strike for Peace organized increasingly large demonstrations against such tests. But to a large extent, Silent Spring sparked the movement that endures today. In 1967, scientists and activists founded the Environmental Defense Fund. On April 29, 1970, one week after widespread demonstrations on the first Earth Day, President Nixon's Advisory Council on Executive Action proposed the Environmental Protection Agency, which became a reality later that year. And in June 1972, after three years of federal hearings and scientific inquiries into the question Carson raised in Silent Spring, EPA Director William Ruckelshaus issued an order that banned the use of DDT in the United States. The environmental movement was in full swing. Despite the efforts of Carson and others who followed, a long list of chemicals is still in daily use­arguably more than ever. It includes pesticides, herbicides, industrial agents, fuels, preservatives, food additives, dyes, household products, medicines, and more. "The most alarming of all man's assaults upon the environment is the contamination of air, earth, rivers, and sea with dangerous and even lethal materials. This pollution is for the most part irrecoverable: the chain of evil it initiates not only in the world that must support life but also in living tissues is for the most part irreversible. In this now universal contamination of the environment, chemicals are the sinister and little-recognized partners of radiation in changing the very nature of the world­the very nature off its life." Fifty years after the publication of the book, the corporations that produce and market the chemicals are far larger. Their lobbyists and PR machines are more well-funded and sophisticated and exert unprecedented influence over regulators, the media, and, most critically, elected officials. A Congressional resolution introduced by Maryland Democratic Senators Ben Cardin and Barbara Mikulski, honoring Carson on what would have been her 100th birthday in 2007, was blocked by Senator Tom Coburn (R-OK), who complemented his vote with disparaging remarks about the author. "Millions of people in the developing world, particularly children under 5, died because governments bought into Carson's junk-science claims about DDT," he said in response to the resolution. Today, the industry and its trade associations echo Coburn's remarks and depict Carson as the leader of a mass-murder campaign that today allows diseases such as malaria to proliferate because there is no chemical check on mosquitoes. In 2009, Todd Seavey of the industry-backed American Council on Science and Health wrote on World Malaria Day:"We need DDT Day.... Anti-chemical greens (inspired by Rachel Carson's fear-mongering book Silent Spring) may already be humanity's most prolific killers." The EPA never banned DDT for use against malaria, and Carson herself never supported a universal ban on pesticides. Instead, she wrote, "Practical advice should be 'Spray as little as you possibly can' rather than 'Spray to the limit of your capacity.'" Man-made chemicals will always be a part of life on earth. The volume of chemicals is massive, and the slow decay of many means they will be part of the biosphere for decades and centuries. The legacy of Silent Spring is that much can and should be done to reduce the health risks they pose, without sacrificing progress. About 41 percent of Americans will develop cancer. The current generation of children, compared to their parents or grandparents, has higher rates of disorders including low weight births, cancer, asthma, diabetes, autism, and ADHD. While multiple factors influence disease risk, exposure to toxic chemicals is one factor. We have ignored Carson's findings to our peril. 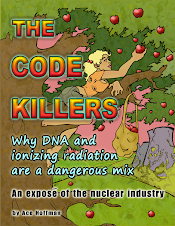 Joseph J. Mangano is Executive Director of the Radiation and Public Health Project and author of Mad Science: The Nuclear Power Experiment (O/R Books). Janette D. Sherman is an internist and toxicologist and a contributing editor of Chernobyl: Consequences of the Catastrophe for People and the Environment (New York Academy of Medicine). Visit www.radiation.org and www.janettesherman.com. Will Americans once again play nuclear roulette? Just one year after the Fukushima meltdown, all 54 reactors in Japan have been closed, and may never be restarted. Germany recently closed several reactors, and will shutter them all within a decade. Italy revoked its pledge to build new reactors, keeping that nation nuclear-free. All these decisions are based on the understanding that reactors are extremely dangerous and expensive. In the U.S., the remnants of the once-overwhelmingly powerful nuclear lobby are making their last stand for "clean" nuclear energy. The sixty-year-old vision of power "too cheap to meter" (words originally uttered by a banker promoting the industry) is back. While other countries end their reliance on nuclear energy, Americans contemplate its revival, even as existing reactors, which produce a fifth of U.S. electricity, pass retirement age and are corroding. In Mad Science, Joseph Mangano strips away the near-smothering layers of distortions and outright lies that permeate the massive propaganda campaigns on behalf of nuclear energy. He explores the history of the industry, with its origins in the Manhattan Project, through its heightening promotion during the Cold War and its entwinement with nuclear weapons. Mad Science includes an account of nuclear accidents and meltdowns and their consequences, from Chernobyl to Santa Susana and beyond; as well as a point-by-point refutation of pro-nuke arguments. Atomic energy is unsafe – it deals with staggeringly poisonous substances at every stage of its creation – un-economical in the extreme and impractical. Subscribe to my free newsletter today! This Wall Street Journal poll is biased and unprofessional: Its lead-in commentary ignores global health issues, it doesn't mention the huge tracts of land that have had to be permanently evacuated, it claims that nukes can solve global warming, and it ignores the problems of spent fuel. I could go on, but we should all go and vote anyway, and tell all your friends to vote, too! You can be sure the pro-nukers are doing the same thing -- and they got a head start because they all read the WSJ!! >The Wall Street Journal is <http://blogs.wsj.com/ideas-market/2012/09/25/vote-should-the-world-increase-its-reliance-on-nuclear-energy/>running a poll regarding the future for nuclear energy in this country. The pro-nuke votes are way up. If you have not already voted, please take a moment to vote NO! >P.S. If you received two of this message, I apologize. Some said the link in the earlier email was not working. Allison MacFarlane, the head of the Nuclear Regulatory Commission (NRC), says neither of San Onofre's two reactors will be restarted "for months." That's not good enough! They should never be restarted at all. They should never have BEEN started at all. Grid operators (California Independent System Operators, CAISO) say they're "bracing" for SanO to be down next summer. That's not good enough! They should be preparing to glide through the next and every summer, with plenty of energy, and they can if a concerted effort is made throughout SoCal to switch to renewables as quickly as possible. The truth is, we got through this past summer just fine without SanO, and we can get through the rest of them -- forever -- without it and with renewables. However, large investments in renewables are unlikely to start unless investors are sure SanO's gone for good. And you can't convert its switchyard to a switchyard for an offshore wind farm until then, or convert SanO itself to a gas-fired power plant -- first you have to "decommission" San Onofre, and that's exactly what should happen next, starting immediately. The chances are pretty good the "root cause" of the problem for San Onofre was, as we all suspected, greed. Technically, they had too much steam and not enough water below the "U" of the upside-down U-shaped tubes in the steam generators. This allowed the tubes (9,737 tubes per steam generator) to vibrate too much. Water is a better vibration dampener than steam. We've heard rumors that the steam generator manufacturer, Mitsubishi Heavy Industries (MHI), wants to blame the problem on San Onofre's operators (Southern California Edison, SCE) for trying to extract too much steam from the system. In other words, SanO's operators realized there was an excess of steam and rather than find out why or consider the possibility that that might not be such a GOOD thing, they simply spun the turbines faster to produce more electricity and make more profit. Of course, we've also heard that computer calculations for how much steam would be produced were off by 300 to 400 percent, and the blame for that error apparently falls on MHI, although both SCE and the NRC could have checked those figures properly if they had cared to. They all trusted the computer programs instead. A more public procedure might have allowed an independent researcher to see the problem before California residents were put at risk by a steam generator tube failure. But the nuclear industry tries to avoid scrutiny as much as possible because so many of their problems are completely unsolvable. The nuclear industry, San Onofre included, has been striving to eliminate "the human factor" from nuclear reactor operations as much as possible. However, this author, a computer programmer for the past three decades, knows that computer programmers make mistakes too, and relying on automated systems can be utter folly. In fact, relying on "hard-coded" procedures, rules, guides, manuals etc. can be utter folly, too -- sometimes things happen so fast there's not enough time to review the rules! And yet there's no other way. So you computerize the rule books so the operators can bring up the data faster. But then, one day a virus gets in and you can't look at anything until the system is cleaned and rebooted. Vital computer systems go down all the time. During the millennium rollover, the "eye-in-the-sky", America's sophisticated radar and data-gathering global system for detecting incoming missile attacks, went down for about four hours. This occurred after many years and millions of dollars spent preparing for that moment. Computer software fails, computer hardware fails, attached storage devices fail... attached motors and controls for valves fail, too, which is why so many things have manual backup plans at nuclear reactors. And another "Stuxnet" type virus can ruin everything while making it look to the control room operators like things are going fine! At least one Airbus jumbo jet has crashed due to faulty computer software, and more than one rocket failure has also been blamed on computer errors. Another rumor that's been circulating for months was that strange humming noises were coming from San Onofre's reactor containment area, which may have been the sound of the steam generator tubes banging into each other. Even though the reactor had never made that noise before, the idea of shutting down and figuring out what was wrong didn't seem to have occurred to anyone at the plant. That's no way to drive a car, let alone, operate a nuclear power plant! But San Onofre has had a tradition of safety code violation cover-ups, and harassment of workers who speak out. Luckily last January only a single tube burst, rather than a cascade of tubes and a significant loss of reactor cooling capability -- or worse: Metal shards could have entered the primary coolant loop, and then might have blocked coolant flow to part of the reactor core itself, causing localized heating and melting of some of the fuel, possibly preventing control rods from fully inserting. Not likely? Who cares! It was POSSIBLE. San Onofre will be defueling Unit 3 next month and I bet we'll get an announcement, maybe today, that they'll defuel Unit 2 soon as well soon. Defueling, however, is NOT "decommissioning". They can put fuel into the reactor and restart as soon as the NRC gives the okay. Instead of keeping SoCal residents on the edge of their seats, we need to decommission San Onofre, so it's not there anymore. And of course, we need to get rid of the waste, but to where? Move it away to another planet?!? Too bad that -- and every other solution ever proposed-- is unworkable! Yucca Mountain has been stopped by presidential order, and it was a technological failure anyway. The Blue Ribbon Commission appointed by the president to study alternatives could not come up with anything substantive; they recommended localized "interim storage" and suggested the way to site nuclear waste dumps was by preemptive legislation allowing very small, very well-bribed communities to overrule county, state, and national interests by agreeing to host a radioactive waste dump. These "local communities" can be just a few dozen people. The "BRC" did not come up with a technological solution to the nuclear waste problem for a very simple reason: Ionizing radiation destroys any container you put it in. After more than half a century of study and tens of billions of dollars spent looking into possible solutions, trying things and seeing them fail, that is why there is still no solution to the waste problem. San Onofre has stopped making more radioactive waste for the time being, but Diablo Cyn and ~450 other nukes around the world have not, and the fight to permanently close San Onofre is hardly over, either. SCE plans to have new steam generators built, probably at ratepayer's expense (even while we're still paying for the last ones). Instead, let's decommission SanO immediately. It's prudent and proper and should not be delayed any longer.